The Monastery’s residential sangha is made up of monastics, who make a lifetime commitment, and lay residents, who commit to being here for a week, a month, or a year or two. A one-month retreat is our most popular way to enter; it offers an intense and varied experience, suitable for brand new and seasoned practitioners alike. Residents having oryoki breakfast in the dining hall during ango. If you ask a resident to describe what their life at the Monastery is like, chances are they will begin with the training schedule, which gives daily life here its shape and structure. We move through all aspects of the day together: sitting zazen, holding service, working, and sharing meals. Communal living has been a distinguishing feature of monastic life throughout the ages, and the training schedule provides us with the freedom that such structure offers, as well as the challenge of letting go of our personal agenda. During your period of residency, you will likely feel both challenged and supported by the training schedule; it is both rigorous and deeply nourishing. The training schedule will also challenge your assumptions about what you need in order to thrive; it’s designed to stretch you beyond your comfort zone. Common examples of this include getting less sleep than you are used to, and having less personal time for individual activities or contacting family and friends. There are breaks during the schedule, and part of your experience will be learning how to make the best use of the free time you do have, as well as learning to accept the schedule and trust its wisdom. We recommend reviewing the details of the daily training schedule; the weekend retreat schedule; and the ango and non-ango sesshin schedules before applying. Shugen Roshi leads a Buddhist Studies session in the Sangha House. 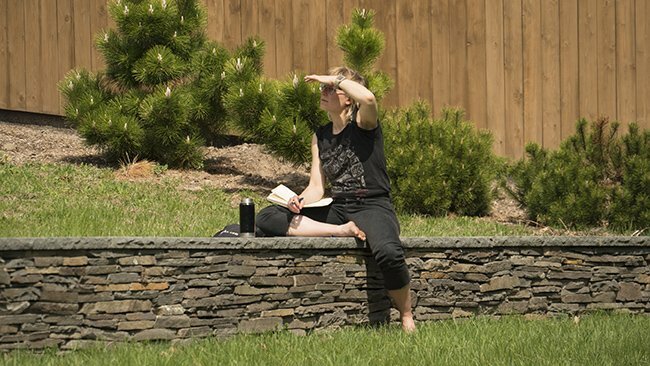 A One-Month Retreat is filled with opportunities to study alongside longtime practitioners. During your first week of residency, you’ll meet with the teachers and senior monastics to receive instruction in zazen and get oriented to the Monastery. The first week concludes with an Introduction to Zen Training Retreat, in which you will receive grounding in basic Zen teachings and an introduction to the Eight Gates. You will have the opportunity to work with the teachers as a provisional student and receive private interviews (face-to-face teaching, or dokusan). You can also participate in the retreats and programs that we offer each weekend, taught by MRO teachers and guest instructors. The month culminates with a Week-Long Sesshin, or meditation intensive. By this point in the month, even new practitioners have enough grounding in practice to be able to take advantage of the profound and unique power of a week of silence and stillness. 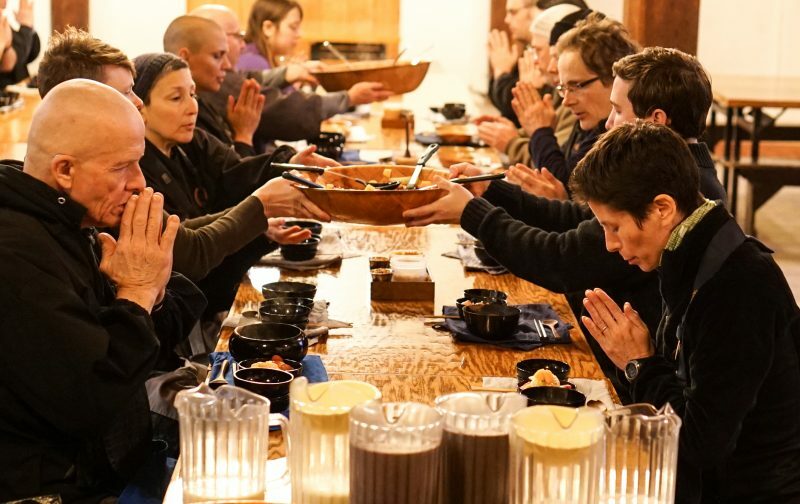 Sesshin includes formal oryoki meals, daily dharma talks and face-to-face teaching. Residents need to be comfortable both in community and in solitude. We live simply and make it our practice to concentrate on what is right in front of us. 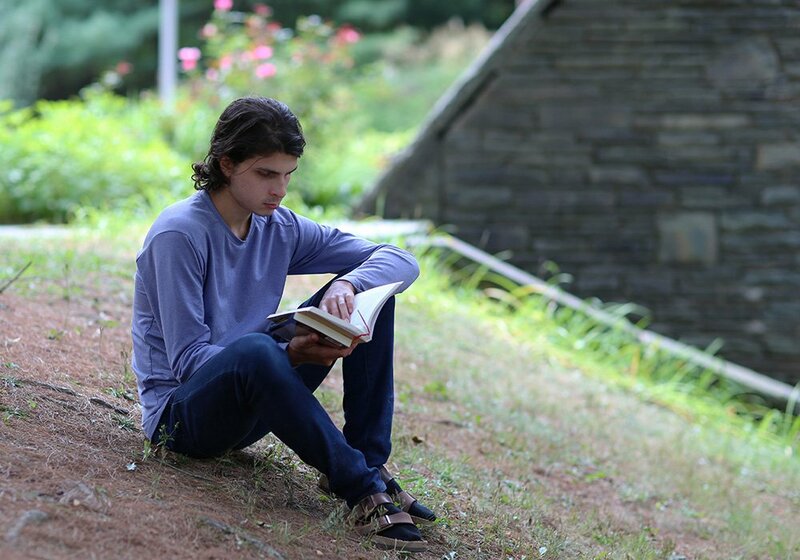 While it’s possible to make a phone call or check your email during the week, any kind of extended contact with the outside world is best left to hosan, when there is wi-fi available in the Sangha House and your time can be spent as you like. For some, there can be tension between our usual behavior and what works in residential training. If we find ourselves habitually reaching for the internet, cell phone, social media, etc., we might ask, “What am I reaching for? What is that habit made of? Why am I not content in this moment?” In this way, aspects of life here that may feel restrictive can begin to open up; we can start to experience the freedom that comes with discipline and the ease that comes with letting go of our familiar distractions. Common caretaking assignments are the kitchen, garden, housekeeping, and various projects that help take care of the buildings and grounds. Since the very beginning, Zen monasteries have always had a strong emphasis on work practice. Within Zen, work is understood as ordinary human activity in the best possible sense, and deeply sacred because of this. The better part of each day is spent in work practice, and month-long residents are generally assigned to housekeeping, kitchen help, office tasks, The Monastery Store, and caring for the buildings and grounds. The spirit of work practice is one of willing service, and we all practice letting go of our personal preferences and doing whatever is needed. Work practice gives us the chance to bring our meditation alive in the midst of activity: while moving, thinking, relating, and problem-solving. Since most of us have quite a bit of conditioning when it comes to work, it also gives us a chance to see our opinions, anxiety, and self-doubt. Once we unearth our assumptions about who we are in a work environment, we also have an opportunity to let them go. What if we just let the task before us become a moving meditation? What happens when we give up our resistance and accept the situation before us? Before applying for residency, it is good to spend some time thinking about your attitudes toward work and what you are you prepared to contribute. When you enter into training, you have the commitment of the whole community behind you. 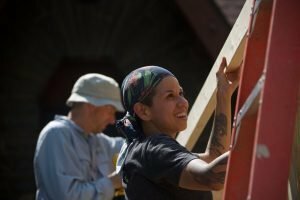 How will you commit yourself in service? The food is vegetarian, with non-dairy and gluten-free options. Meals are vegetarian, and are prepared by residents with the guidance of the cook. The menu generally accommodates vegan, gluten-free and non-dairy preferences. 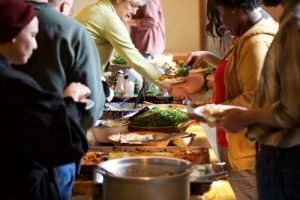 Residents eat what is served, and those with more restrictive diets are asked to practice flexibility at the serving table during their stay. If you have health concerns that require a very specific diet, please raise this early in the application process so we can discuss how to best work with your situation. Hanging clothes out to dry instead of using dryers. As a community, we are invested in using only what we need and treating our indoor and outdoor environment with love and respect. This is part of the original teachings of Zen, which emphasize a reverence for all things, no waste, and attention to the smallest detail. Clothes are hung out to dry if weather allows. We’re vigilant about turning off lights, disposing of waste in the least impactful way, “turning up our sweaters” instead of the thermostat, and using water thoughtfully. In this way, we practice being awake to giving and receiving, and being mindful toward the details of daily life. Residents in the Sangha House gallery. Life in the sangha has been compared to being a rock in a rock tumbler. Each of us arrives with rough edges, but through living and practicing alongside one another, our rough edges are smoothed and polished. 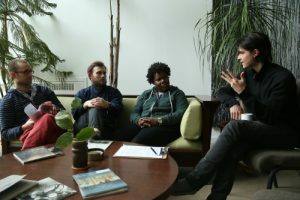 United by our shared aspiration to wake up, each interaction gives us a chance to see our habitual, constricting ways of relating, work with releasing these habits, and learning how to have clear, connected relationships that honor both self and other. Over time, you may find yourself feeling more relaxed and open with others, having a stronger feeling of trust in yourself, and having a greater sense of commitment to your life as it is. As a resident, you’ll need to be comfortable both with solitude and being with others. Residents have at least one day per week where the schedule is lifted. 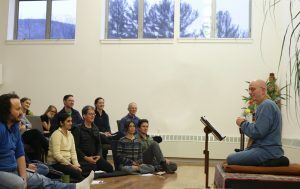 Each training week concludes with hosan, one to two days during which the training schedule is lifted and residents are free to use their time as they like within the spirit of spiritual practice and harmonious living. Hosan gives us a chance to practice on our own schedule, offering time to engage more open-ended sitting, take care of personal business, contact family, do laundry, take up art and body practice and share informal time with other residents. The area surrounding the Monastery provides much to explore as well. There are hiking trails, places to ride a bike, and lakes good for a summer swim. The towns of Phoenicia, Woodstock, Saugerties and Kingston are nearby destinations for errands, having a meal out, or seeing a film. There are also several galleries and music venues to enjoy. With all of the options available, the practice of prioritizing how to use your time is especially ripe. The residency fee is $850 per month, which includes all meals, lodging, training and retreat fees. A $100 deposit is required upon acceptance. If you can’t afford the full fee, please let us know and so we can discuss a reduced rate. Week-long residencies are also offered at $300 per week. $50 transferable to a future program if you cancel at least one week before your scheduled arrival; $50 non-refundable. Contact the Monastery at (845) 688-2228 or registrar@mro.org to ask questions about residency or to request a residency brochure and application. You’ll be asked to examine your motivation for engaging spiritual practice and to express this motivation in writing and in a phone interview.